Discussion in 'Processors and motherboards Intel' started by fr33k, Jan 18, 2019.
i've been on a 3770k oc'd to 4.5GHz on water since release. I'm considering a 9900k but i have been out of the processor loop for a while. is there any reason to wait a few more months? Also AMD is not an option here. thanks for your input. Also i would use this primarily for gaming. Only reason to wait a few more months if you are waiting for Ryzen 3000 but since AMD is not an option 9900k seems a good upgrade. and to complete the upgrade i got these. 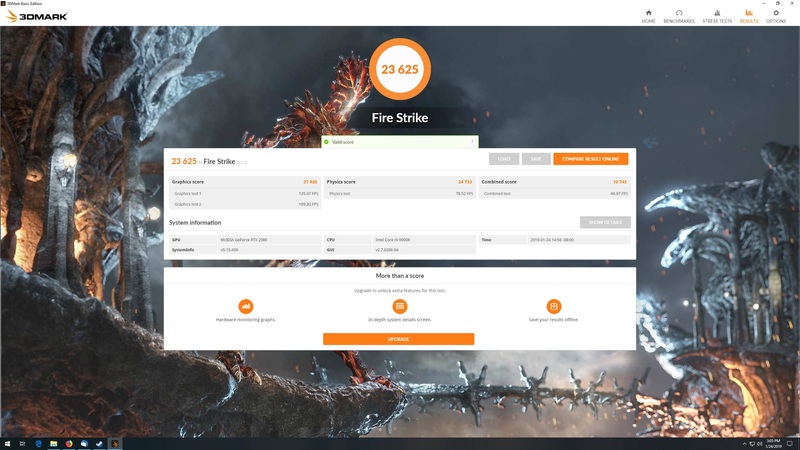 Out of curiosity, why is AMD not an option? i've only had problems with amd in the past, when i updated to intel all those problems went away, and i'm sure you're gonna say things have changed but i got burned too many times in the past to change platforms. both amd gfx and cpu have been a chore to deal with. also my wc loop is configured for lga115x already so yeah. To say things haven't changed, would be a lie. I had a lot of issues with Socket A and 754 motherboards. That aspect doesn't seem to have changed. I've had a lot of issues with my current AM4 board. So, can't fault your decision in the least. AMD processors themselves have improved a lot. Unfortunately, the weak link still seems to be the motherboards, in MY experience. My loop was setup for an i5 6600K. Conveniently, it's still setup for that i5 6600K. I got lucky and didn't have to change anything with my loop when I switched from the i5 6600K to my R5 1600. I didn't ask to start an argument or to try to persuade you to go with AMD. As long as you're happy with the system you build, that's all that matters. I was just curious., that's all. If i were you i would give a good look on the upcoming Ryzen 2. 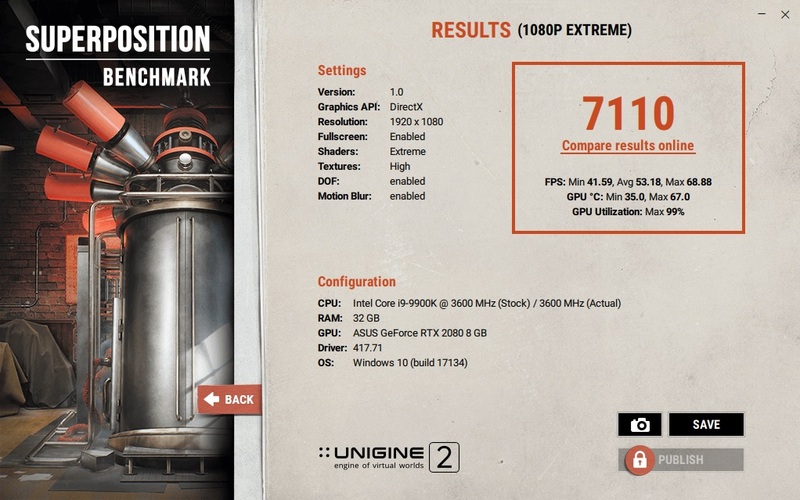 If rumors are true they are going to release a CPU as good as the 9900K at half the price! As for going with Intel only, their current CPUs are more expensive than they should because of limited supply. If you don't want to go with ryzen then 9900k will be the best option only if you are planning to overrclock your CPU. Also which GPU you are using ? yeah my plan is to be able to OC, i have a 6 fan radiator with just my cpu in the loop, seems like heat may be a factor going past 5Ghz but i'd like to see what it will accomplish. 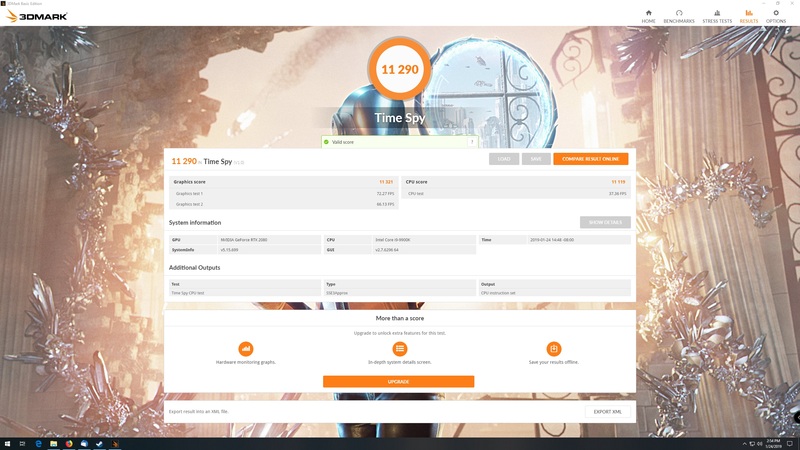 also my GPU is a RTX 2080.
for some reason unigine says actual is 3.6Ghz when other stuff is reading it at 4.8-5.0Ghz smh.